The sun is shining and spring is just around the corner. Have you been thinking about purchasing? Your first cottage? Maybe you already own a cottage and can’t wait to open it for the season. Make sure your home away from home is protected by purchasing the right insurance coverage for you. Be prepared! 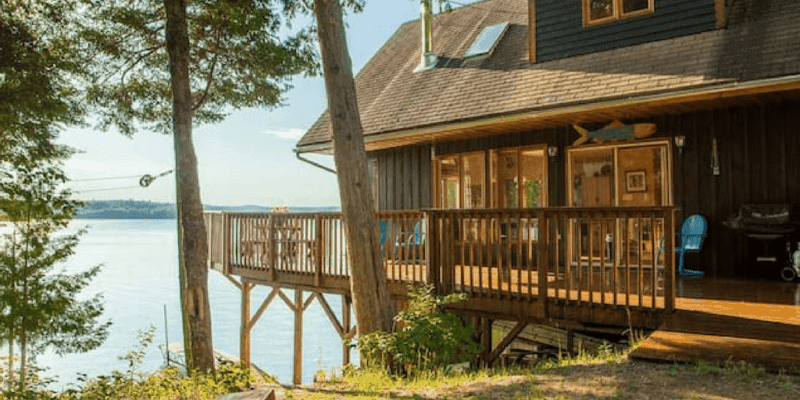 When inquiring for insurance on your cottage/seasonal home, our Morison Insurance brokers will need to know all the details of the dwelling. Ask your broker what details are important before you view the cottage. This way you can use your realtor or home inspector as a resource to get all of this information for you. • What is the heating type? • What is the plumbing materials? • Is the electrical on a breaker service? How many amps? What is the wiring type? • What is the roof material? • When was all of the above last updated? • Do you use your cottage/seasonal home year-round? • Do you rent your cottage/seasonal home to others? • Does the cottage/seasonal have a woodstove? Take lots of photos! It is great to have the photos to show your friends, family and your insurance broker. Your insurance company will require four clear colour photos of the outside of the cottage. When it comes to dwelling updates not everyone knows what they are looking at. Photos will help your insurance broker to understand the type of cottage you have to ensure the cottage is insured properly. Talk to your insurance broker when making changes to the dwelling! It’s important to ensure your policy is updated whenever changes are made. Doing updates or renovations to your cottage will make you love your home away from home even more. These updates add up and may require the rebuilding value of the cottage to increase. By having the conversation with your insurance broker, you will have peace of mind knowing your insurance is adequate. Completing updates may even save you some money! Enjoy your summer at the cottage. Talk to our brokers at Morison Insurance for Peace of Mind!